Yesterday, my friend Wanda had posted this post on her blog. She and I have very similar tastes in fabric. We both love Kaffe, batiks, and African fabrics. I have been following Wanda's blog since I started blogging in 2007. She has some of the best color and design sense that I have ever seen. Wanda continually amazes me. Anyway, when I saw her blog post yesterday, I just had to play. 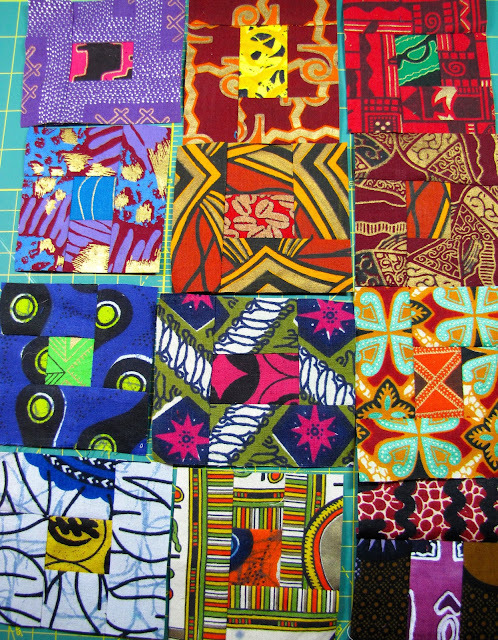 Since I had been playing with my African fabrics about a month ago they were still sitting near my sewing machine and were at the ready for playing. Using Wanda's technique for "crooked" cobblestones, I set out pairing fabrics and sewing. I was able to complete these in the course of a little over an hour. I think that I will make some more tomorrow and then square them up to join them for a mini wall hanging. 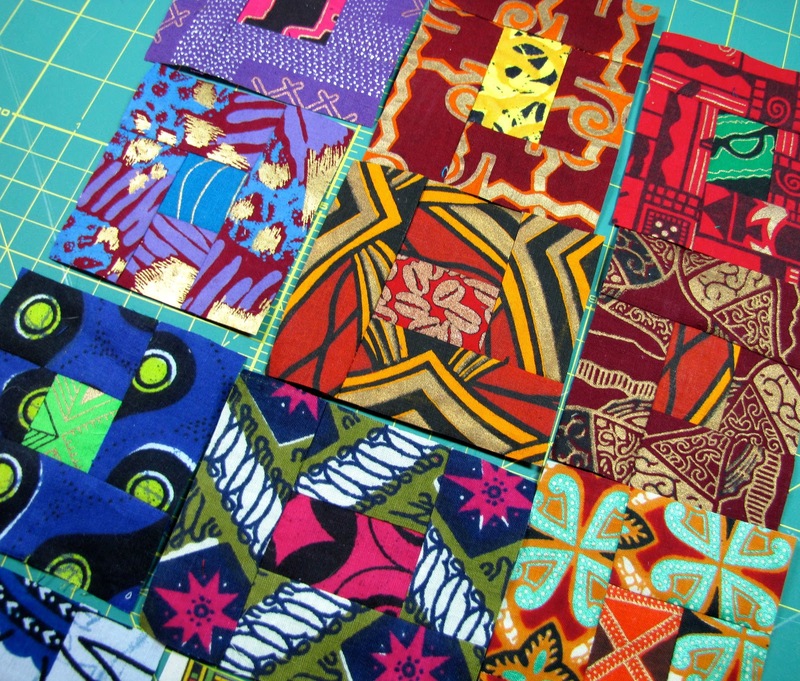 One of the things that I love about the African fabrics is the color and design. I just LOVE them!! Stay tuned to see how this one grows. If you would like to try your hand with some African fabrics, I just added new ones to the shop and they are only $7.50 per yard. You can find them by clicking here. Thanks, Wanda for all your inspiration! !